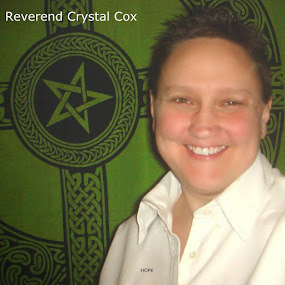 Reverend Crystal Cox, New Earth Ministry; Professional Psychic: "WHY ASCENSION ENERGIES (FREQUENCIES) ARE NOT PERCEIVED, VALIDATED BY THE GENERAL PUBLIC"
"WHY ASCENSION ENERGIES (FREQUENCIES) ARE NOT PERCEIVED, VALIDATED BY THE GENERAL PUBLIC"
"For quite a while now many have been questioned by their entourage (lightworkers alike) as to why just a selected few are sensing, living the ascension process – affected by these frequent energy downloads taking into consideration that we are all exposed to these waves (under the same roof so to speak); and on the premise that we all perceive these emissions from the same Cosmos. The simple reason is that those that have chosen to work for the Light (bring in Light) resonate more closely with the frequencies of the higher dimensions. It is a slow and often painful journey through lifetimes of experiences necessary for a soul to finally awaken from the pending illusion into that enlightened state of awareness – consciousness. The moment a soul volunteers to be a light bearer/light worker/way shower, etc – re the ascension project, the moment proceeding the famous `clarion call`, some parameters/lines in their operating system aka DNA are modified. This exercise is carried out at the moment of their conception by the team of guides & Co – orientation team and by diversity under the supervision of Athena`s department (soul contract, mission, karma …). All those that are involved in the ascension project depending on their specific assignments as well as their positions on the `Jacob`s ladder` (light quotient) have been receiving varying doses of cyclic downloads of light energies necessary for: the shift, carbon to crystal conversion, cleansing, transmutation,… The passage of these energies through the LBP (light body process) has been responsible for the proverbial ascension symptoms (unusual body symptom that does not have a medical cause, which are the effect of greater spiritual light/energy downloads in the body). However, despite the above mentioned upheavals, once the process of transmuting their form has begun, it is difficult, and even dangerous, to try to stop it; fortunately their expanded perceptions resulting from the harmonizing role of the unified chakra act as a protective/safety mechanism. Looking at it from a technical perspective, our etheric network operates in a similar manner to that of a simple radio receiver capable of discriminating application signals at its input. Ascensionees radios aka receivers are equipped with decoders allowing them to demodulate and exploit authorized signals/frequencies due to an incorporated algorithm (this process is similar to the encrypting patch used by secret services in their communication equipment all over the globe to restrict service/info to specific parties). It is for this kind of Squelching – the difference in the programming of the DNA that stops the masses from benefiting from the effect of these energies through a pre-birth agreement. Source [Cosmos – Alcyone/Sun/Galactic Alignments…] → Waves [Frequencies] → Antenna [Hair*] → Etheric Network [Chakras – Decoder/Squelch] → Ground → Source. And the circuit is complete/closed (all energy circuits must be closed for current to flow). Those that have not yet taken the first step (slumbers/laggards/fence straddlers/…) – not yet demodulating these energies, will do so in divine timing for everyone is moving towards reconnection/home and the difference is just a matter of degrees. And all we have to do at this point in time is send them our blessings for our reunion is timeless in the infinite continuum. Some harmonics in closing to fine-tune our radio receivers: Life unfolds endlessly in divine order, timing, will and for our highest good; those that can handle both sides of the equation (duality) and keep their peace have been called Masters – observing without interference. The greatest challenges facing humankind today is the mastery of the altered ego. The ego is highly creative and manifests itself in all shades/colors hence capable of disguising/camouflaging within itself – a drama within a drama. Success in this endeavor will thin out the veil → Love, Surrender, Gratitude, +++ will help manifest the big picture."